Google is holding an event on September 29, where it is expected to unveil the two Nexus smartphones in partnership with Huawei and LG. 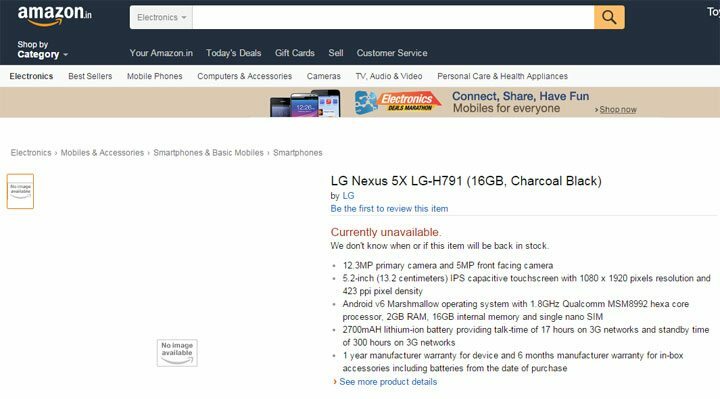 Even though there is still a little less than a week to the event, Amazon India has already listed the LG Nexus 5X. None of the listings show any pictures of the device and it is listed as unavailable at the moment. However, they do reveal some specs that are quite similar to the rumored ones. As it was speculated, the LG Nexus 5X will carry a ‘1.8GHz Qualcomm MSM8992’, which is no other than the hexa-core Snapdragon 808 SoC paired with 2GB of RAM and 16 GB internal storage. 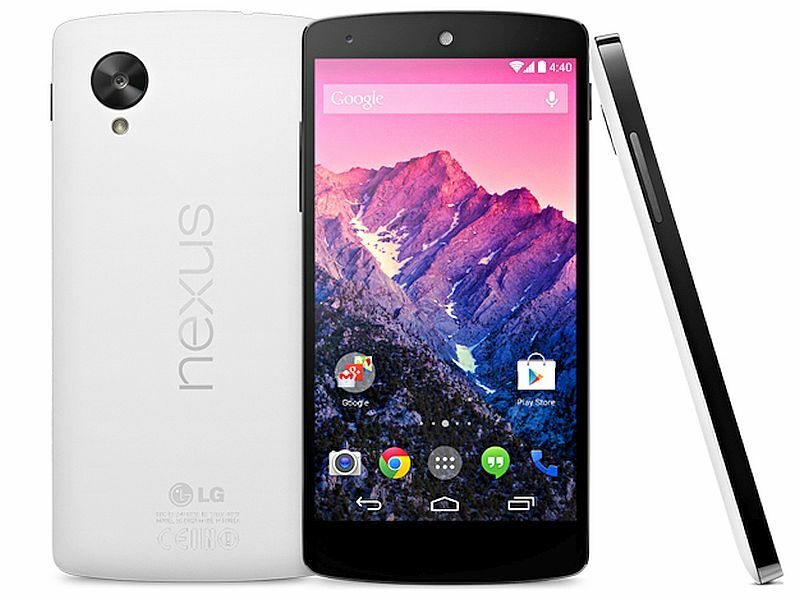 The LG Nexus 5X has a 5.2-inch Full HD display with a 1920x1080p resolution and a 423ppi pixel density. It is equipped with a 2,700 mAh battery that provides up to 17 hours on 3G networks and up to 300 hours on stand-by mode. In terms of camera, LG Nexus 5X features a 12.3 MP rear camera and a 5 MP selfie shooter. The smartphone supports 4G LTE, Wi-Fi and Bluetooth 4.0. It will come out of the box with Android 6.0 Marshmallow OS. As listed, the smartphone will be available in 3 colors: Ice Blue, Charcoal Black and Quartz White. The price hasn’t been revealed on the Amazon India listing but, according to previous rumors, the 16 GB version will cost $399 (Rs 26,000). Meanwhile, the 32 GB version will be priced at $449 (Rs 29,300).